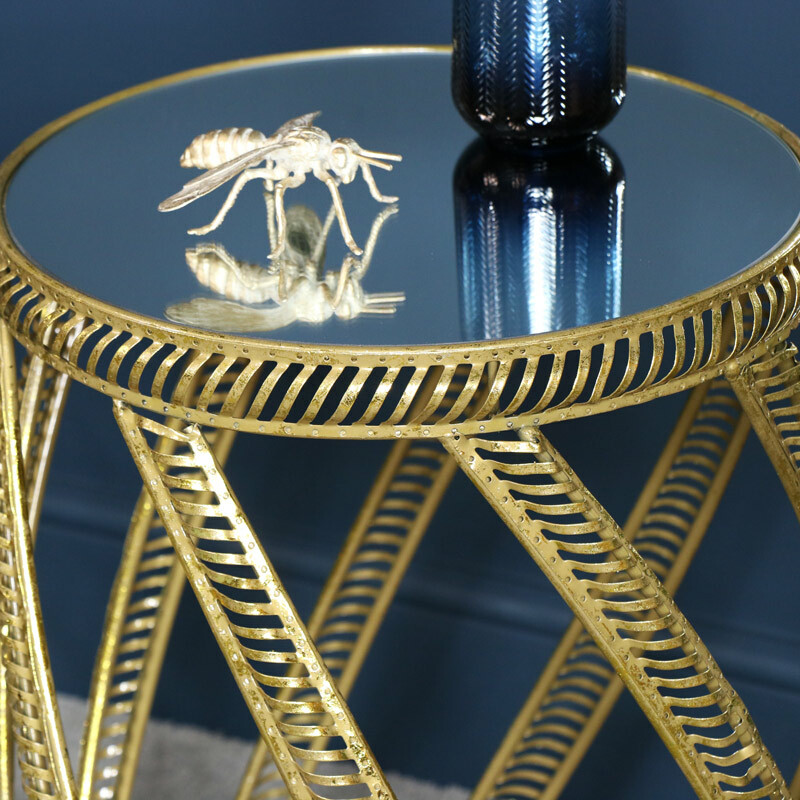 This Stunning Ornate Gold Mirrored Table would add a luxurious touch to any home decor. An ideal storage side table for a living room, bedroom, hallway or dressing room. Has an art deco design with a vintage feel. 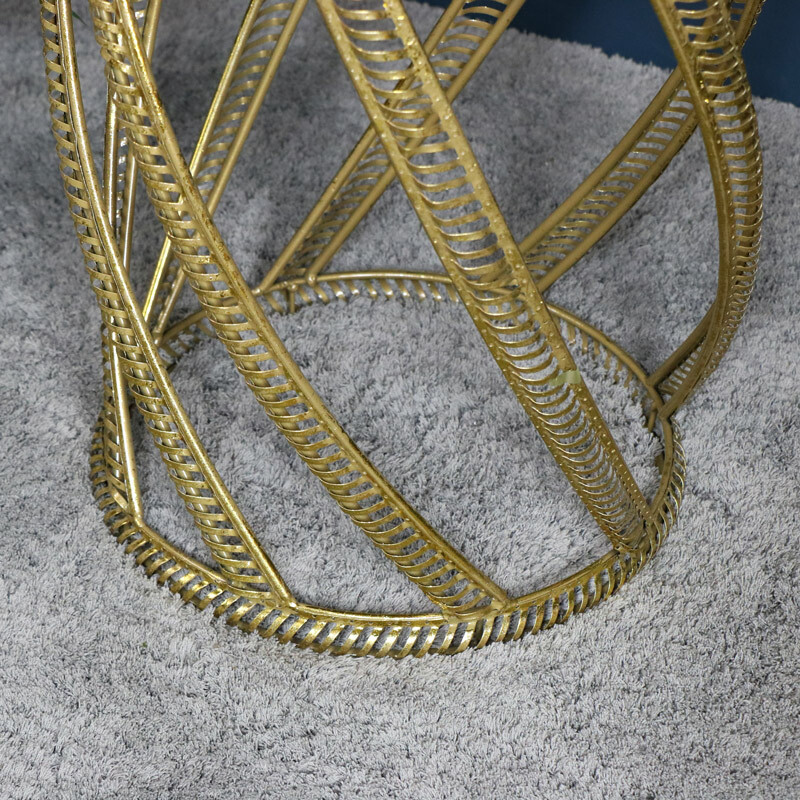 This glamorous gold table has a mirrored top and an ornate swirl design. Perfect for lovers of gold decor and mirrored furniture. This Stunning Ornate Gold Mirrored Table would add a luxurious touch to any home decor. An ideal storage side table for a living room, bedroom, hallway or dressing room. Has an art deco design with a vintage feel. 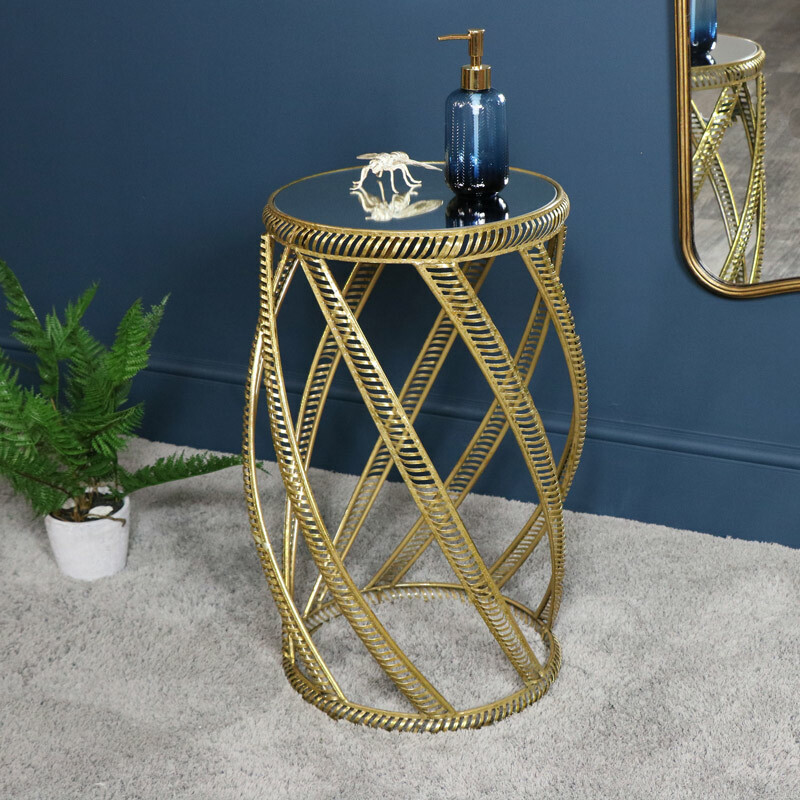 This glamorous gold table has a mirrored top and an ornate swirl design. Perfect for lovers of gold decor and mirrored furniture.